Hello. I wanted to write today about some legal opinions in Florida about the admissibility of loss conclusions by marine surveyors that survey vessel damage claims. 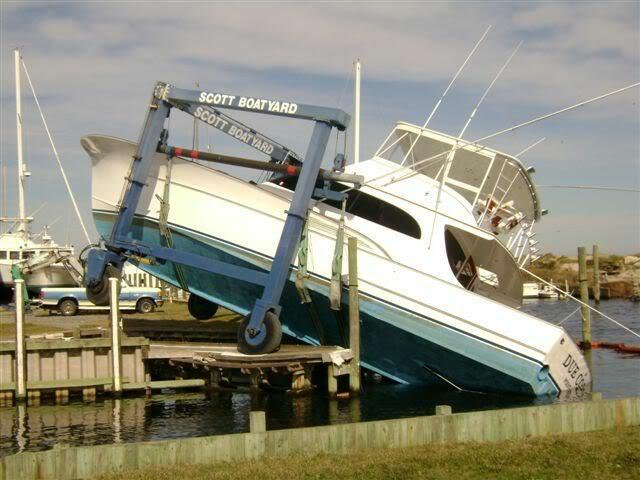 This is meant to enlighten boat owners, other marine surveyors, and insurance claims handlers in what can happen in the courtroom or during any litigation in Florida when it comes to a damage claim on a boat or yacht. In Florida, if not licensed in the state for a specific occupation (such as marine surveying) any loss conclusion that is written in a marine survey report can become inadmissible in court. This is because according to various case law and legal opinions, unless you hold a Florida Private Investigator’s License, a marine surveyor may not be legally qualified to write, analyze or comment about vessel accident reconstruction or loss conclusions. Now remember I am not saying that marine surveyors are not qualified or able to realistically reverse engineer a vessel accident or write a conclusion about the cause of loss. This is about the games that are played in the courtroom and attorneys that find loopholes in the law and interpret case law and legal opinions to get factual, well written damage marine survey reports deemed inadmissible. A good attorney will know how to manipulate and spin doctor the intent of the law. As a former U.S. Coast Guard Boarding Officer and a former Police Officer in the State of Florida I have had a lot of exposure to criminal and civil litigation in both the State and Federal courts. 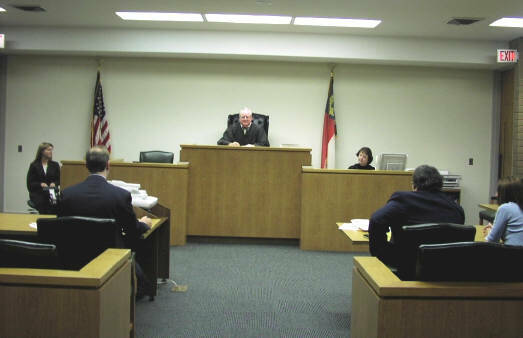 I have attended countless depositions and court appearances. I have seen well meaning cases with well intended causes get thrown out or judgments go the other side simply because the petitioners or respondents were not prepared or knowledgable of the case law and legal opinions that would render their action or defense inadmissible. Understand that in the courtroom it has very little to do with right or wrong, or who realistically is at fault (in spite of how obvious the convincing evidence or exhibits may be). It is nothing more than a game. 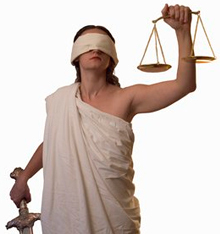 The opposing side will use any available case law, legal opinion or even your own evidence against you in court. If the evidence or exhibits are damning for the opposing side and there is no way to argue them, then the common strategy by attorneys is to get the evidence or exhibits thrown out by deeming them inadmissible. There are some very common cases of this such as the infamous O.J. Simpson Murder Trial in California and the more recent Casey Anthony Murder Trial in Orange County, Florida. Both were won by discrediting otherwise qualified professionals and having evidence and exhibits ruled inadmissible. According to Fred Speaker, an enforcement investigator with the Florida Department of State, Division of Licensing, an engineering license does not cover accident reconstruction. If a licensed engineer engages in the typical activities of accident reconstruction, skid testing, evidence collection, surveying accident sites, etc., then a private investigator’s license is required. The Florida statutes provide that any person who holds a professional license under the laws of this state, and when such person is providing services or expert advice in the profession or occupation in which that person is so licensed, is exempt from private investigator licensing requirements. Thus, a licensed accountant would be permitted to perform forensic accounting without a private investigator’s license. Not all investigative services can be performed under his accounting license. The investigative activity of surveillance, for example, is not an activity which accountants normally perform. Thus, if the accountant performed surveillance he would need a private investigator’s license. A contract safety consultant, who’s primary function is safety training and workplace inspections, occasionally conducts an investigation when an employee has been injured on the job to determine the cause of the accident. In the Florida statutes, private investigation includes investigation for the purpose of obtaining information with reference to ‘the business of securing evidence to be used . . . in the trial of civil . . . cases and the preparation therefor.’ If the investigation is related to litigation, a private investigator’s license is required. With this interpretation, the engineering licensee’s activities may be restricted to traditional engineering factors. Data collection, analysis or expert advice beyond the scope of engineering, as defined in the state law, would be unlicensed activity. As an active practicing marine surveyor, I hold a Florida Private Investigator’s License. I write every damage marine survey report in detail, with plenty of photographs included in the report, along with any other written estimates, witness statement or drawn diagrams I can obtain to solidify my reports and support my loss conclusions. I write every survey report (whether it be a pre-purchase, insurance, valuation or damage claim survey report) with the mindset that someday the report may be displayed six feet high on an overhead projector in some courtroom and I am on the witness stand defending what I wrote. That is the reality of our modern world. Not only do I want to ensure everything I write will be admissible based on my credentials, but I can be convincing based upon the content of my report. If you are a marine surveyor, I recommend you look into obtaining a private investigator’s license if this pertains to your state to in order to cover yourself on this angle. The expense and time involved is fairly cheap (less than $1000.00 in most cases). My philosophy is simply “better to have it and not need it, than need it and not have it.” It only adds credibility to your marine surveying business. If I were a boat owner involved in a loss on my boat, I would specifically seek a marine surveyor that had the proper credentials, experience, and a private investigator’s license to insure that the findings from the survey would be admissible if the loss went into litigation. As for the boat owners and insurance handlers reading this, this is something to think about and remember, just in case. Until I write again, be well and fair winds. This entry was posted in Florida Marine Surveyor, Insurance survey, Marine Surveying, Uncategorized and tagged damage claim, florida maritime, insurance claim, marine insurance claim, marine survey, marine survey report, Marine Surveyor, maritime law, private investigator. Bookmark the permalink.